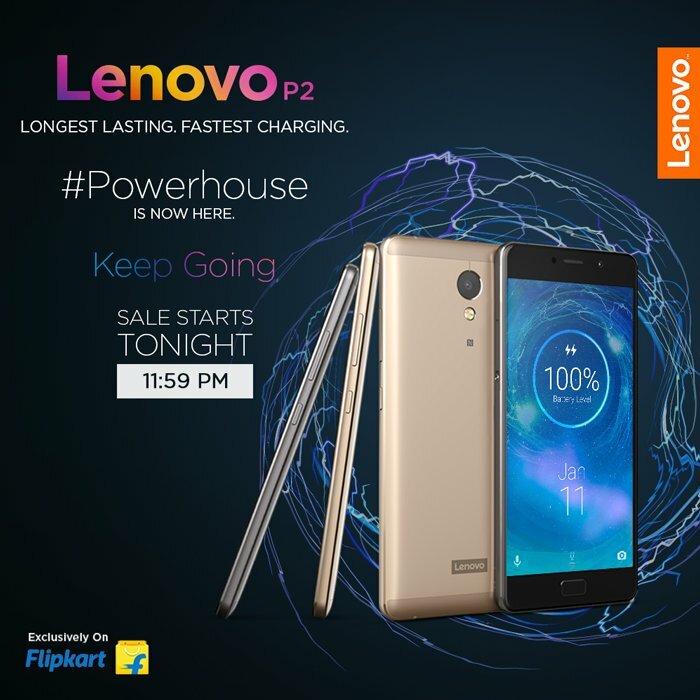 Lenovo P2 Flipkart Offers | Lenovo P2 Price in India | Lenovo P2 Specifications with 10% SBI Discount Offer. Lenovo P2 Offer Flipkart, Lenovo P2 Price In India: One of the most awaited mobile phone Lenovo P2 is launched & available for sale in India. This phone will be exclusively sold only on Flipkart.com. In coming days Lenovo Vibe P2 will be available for purchase on Amazon, Snapdeal & other major online shopping websites in India. Lenovo P2 comes with a price tag of Rs 14,999 in India. Grab the Phone and Make the Payment. Colors – Graphite Grey & Champagne Gold. Lenovo P2 Review: The long lasting warrior You won’t have to worry about your phone to get charged because it easily lasts two days with moderate usage. Previous PostPrevious Vodafone | Airtel | Jio | Idea Unlimited Voice and Data Plans for Prepaid and Postpaid Details.